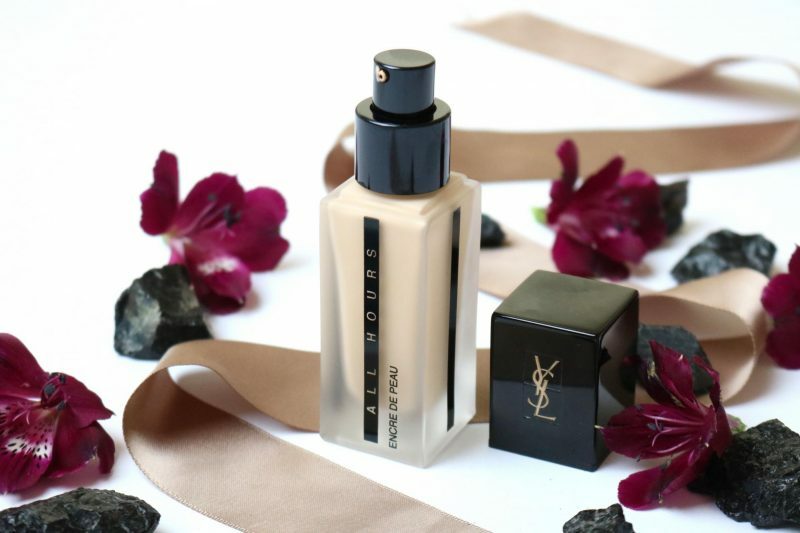 Today I will talk about the Yves Saint Laurent All Hours Foundation which is their newest edition to their foundation line. 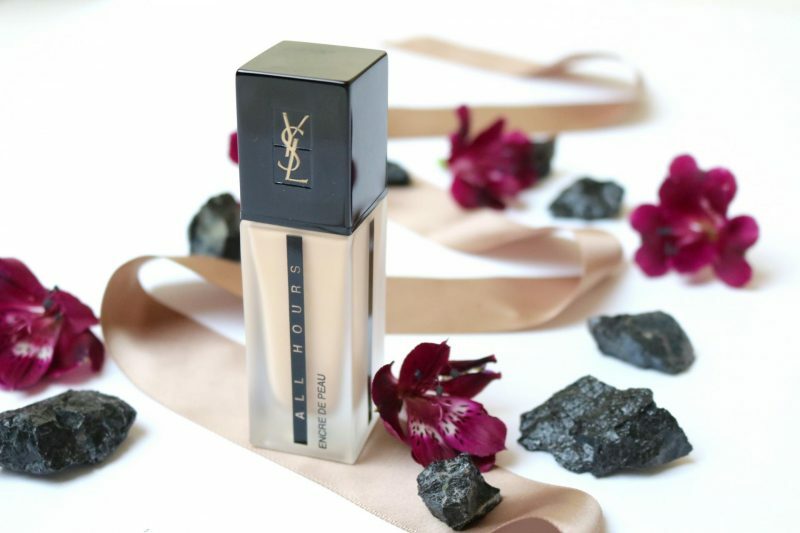 I’ve been a big fan of the YSL base products because they never break out my skin and their color range offers my shade. 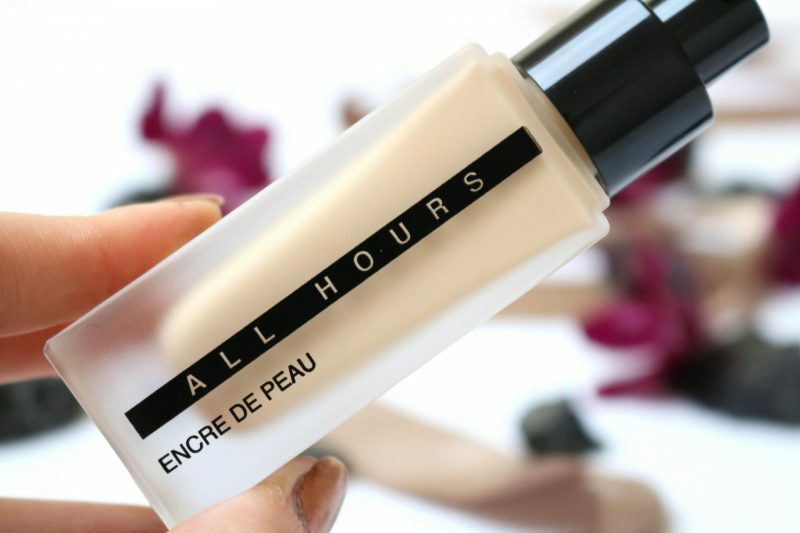 When I first saw their first advertisement about their new All Hours Foundation I was getting all excited because: long-lasting, matte and high coverage. Everything that I look for in a foundation! Luckily I received this foundation from Notino.nl, now I have to see if all the claims are doing their job and if my skin will love it or not. A new 24-Hour, full-coverage foundation that instantly blurs pores and fines lines and provides uninterrupted flawless wear that looks and feels just applied, all-day. When Yves Saint Laurent launches a new product, they always pay attention to the packaging. Perfect for a girl like me who has a weakness for pretty items. 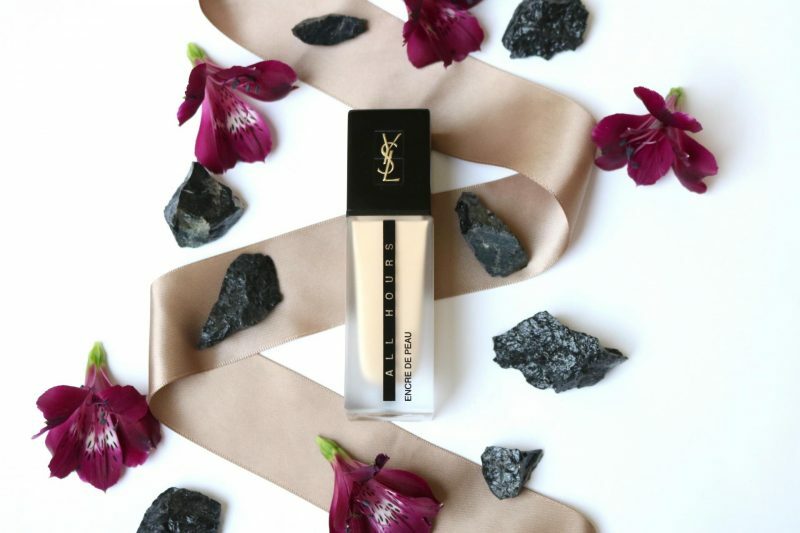 The foundation is packed in a glass matte bottle with a black plastic cap that has the YSL logo in gold letters. On the bottle there is a black line which has the name of the foundation. I love the slick and luxurious look of the bottle. When you remove the cap you will find a pump to get the product out of the bottle. I personally think that a pump is the best way to get the right amount of product. 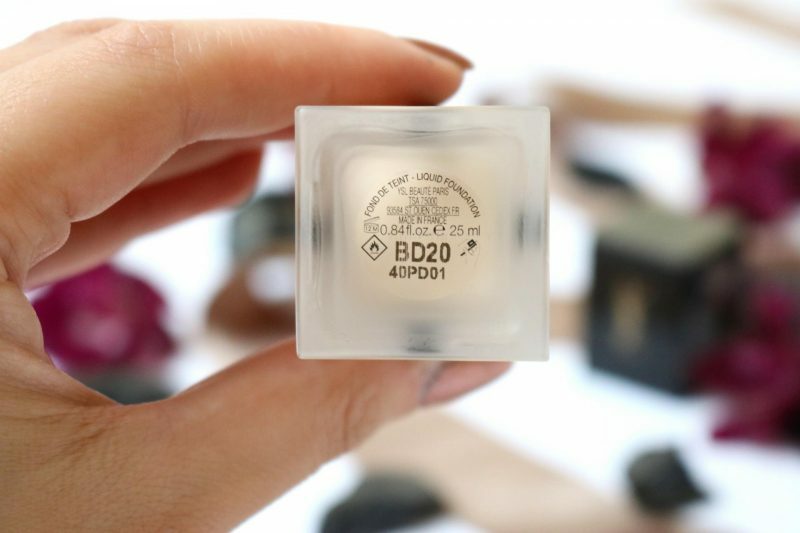 You can easily press it and adjust the right amount of foundation. All Hours Foundation has a color range of 16 different shades with spf 20. The shade I got is BR 20 which was displayed as an Asian women with a yellow undertone. With my other YSL foundations I have B 30 but they were a bit too dark for me. Now I got BR 20 but I picked a shade that is a little too light for me. Still, I’m very happy with this shade because you can always apply bronzer to get the right shade (or use the foundation as the base to create that on fleek contoured face). There has to be something that will match with your skintone. The texture of the foundation is a bit thicker than I’m used to compared to my other YSL foundation. When I pump the foundation out of the bottle it stays on its place while others will start to drain on the back of my hand. When I start the blend it instantly gives my hand full coverage, I’m amazed! Of course I can’t judge until I put it on my face but so far I’m only seeing good things. I do feel that this foundation really sticks on the skin and that I might have a harder time to blend it. I own a great Zoeva Buffer brush that can work with each foundation, so I hope that I can work it out. 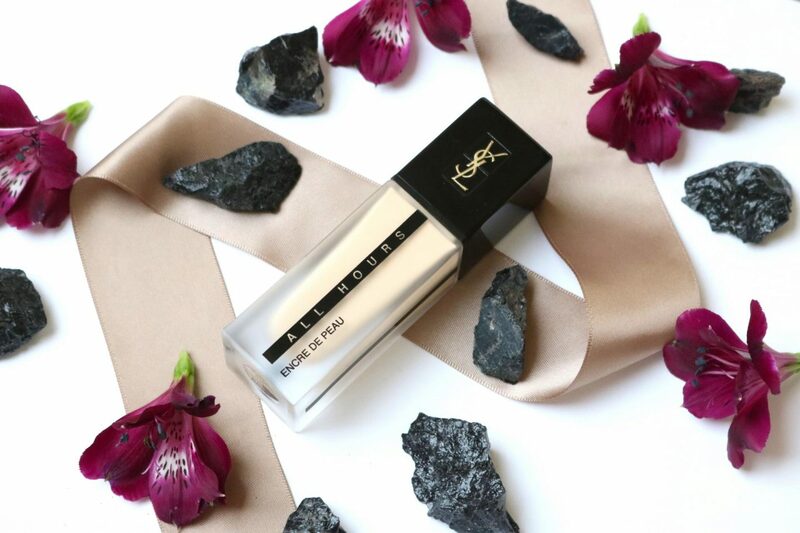 Now is the moment; is it long-lasting, matte and does it cover my skin flawless? I applied one pump on the back of my hand and used my Zoeva Buffer brush to blend it on my face. I could feel how tough it was to blend but no difference compared to other matte foundations. Only one swipe was enough to cover my skin, it was like magic happening right in front of me. With a few swipes along my face I was ready to go. 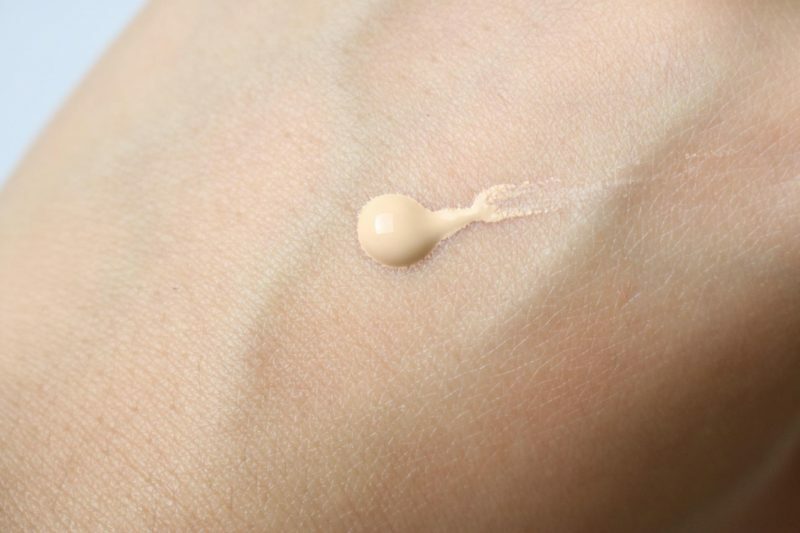 I found it very easy to get the right amount of coverage with one pump of foundation, maybe a half was already enough. Of course you can build up the coverage like how you would like to see, but in my opinion one pump is enough. The foundation doesn’t have a weird chemical or sunscreen smell. 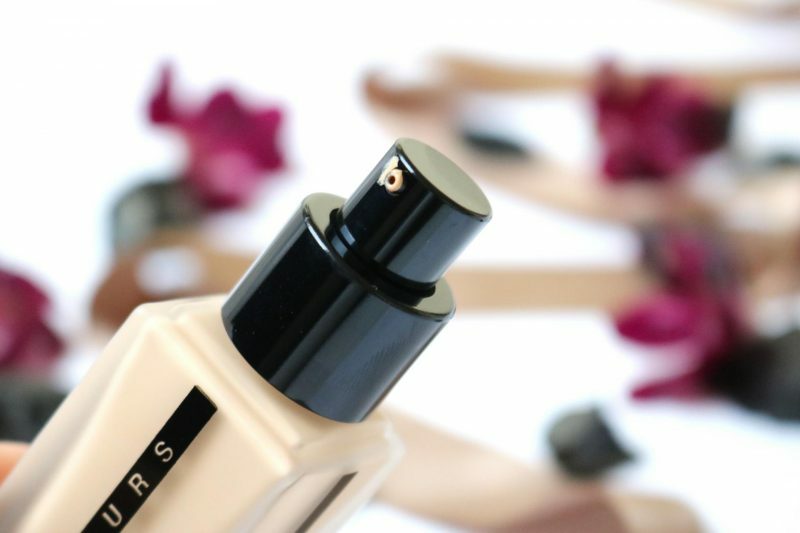 In fact, it smells amazing like all the YSL product do (like perfume). My skin has an even tint and little flaws are not visible. Right after the application the foundation looks matte, almost dry but that is something I prefer because my skin will get oily during the day. After wearing it for 4-5 hours it starts to get a glowy look but not shiny. This is the moment I think that my skin looks at its best! After 7 hours my nose starts to get shiny and foundation underneath my nose starts to disappear. Not a big deal, it stays better on the skin than I though. When I come home from work 13 hours has passed since I applied it and it still looks fresh. My skin has a glowy look, nose and forehead are oily but the foundation still looks great. I never wear my makeup ‘all hours’ for 24-hours but so far I’m really happy with what I see! 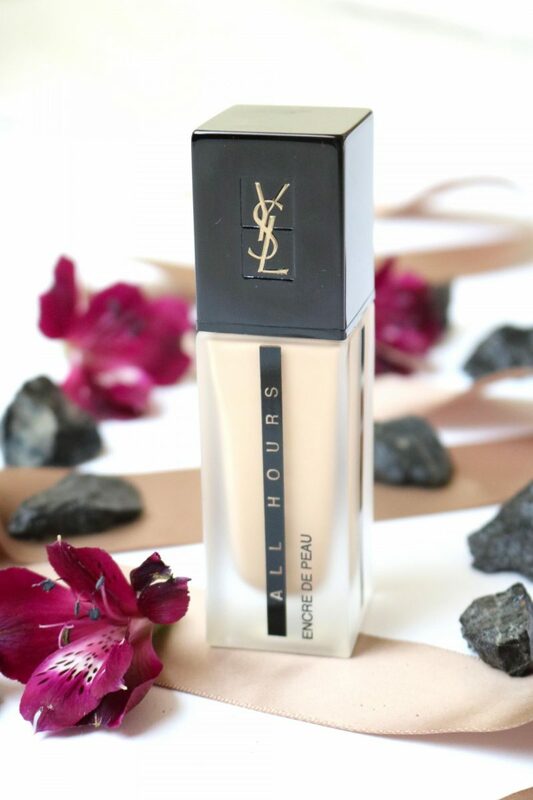 The Yves Saint Laurent All Hours Foundation could be the perfect one because after a whole day wearing the foundation the coverage looks amazing. Some spots on my face are oily but I’ve seen worse. I do have to warn you that some dry patches around my mouth appeared more visible than normal. Overall I’m really liking this foundation and it will work great on people with oily skin! Do you prefer a matte or dewy skin? It seems like a great foundation. I’ve been meaning to try it for a while now but I didn’t know if it’d be worth it. After reading this I really want to purchase it right away!